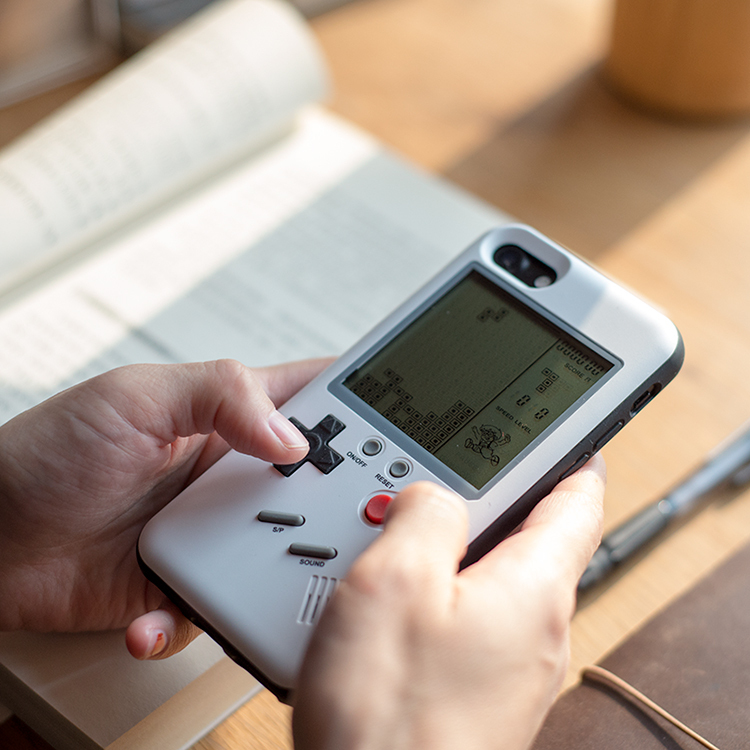 Cool Gameboy with many games in your iPhone case. Flip the phone and start playing. Bring back your childhood memories. Back in Stock. We got only limited Quantity. Order now before it runs out. Protective Case For iPhone X 6 6S 7 8 Plus with built-in games system 2 in 1. Ultra Slim Protective Playable Phone Cover with TPU material, protect your iPhone from the drop, bump, and scratches. Small games for your choice when you are waiting and boring.Such as Tetris, Tank Battle, Shooting Game, etc. Perfect partner when you are on travel or waiting, Not only could be playable but also protect your phone very well.